Retailers across the state use 9.0 psi RVP gasoline from June 1-September 15. All state agencies must, to the extent practicable, use 100% biofuels or electricity to operate all publicly owned vehicles. Agencies may substitute natural gas or propane for electricity or biofuel if the Washington State Department of Commerce (Department) determines that electricity and biofuel are not reasonably available. Practicability and measures of compliance are defined in rules adopted by the Washington State Department of Commerce. In addition, effective June 1, 2018, all local government agencies must, to the extent practicable, use 100% biofuels or electricity to operate all publicly owned vehicles. The Department must define practicability and measures of compliance for local governments through a rulemaking. Transit agencies using compressed natural gas (CNG) and engine retrofits that would void vehicle warranties are exempt from this requirement. To allow the motor vehicle fuel needs of state and local government to be satisfied by Washington-produced biofuels, the Washington Department of Enterprise Services and local governments may contract in advance and execute contracts with public or private producers and suppliers for the purchase of appropriate biofuels. Agencies may substitute natural gas or propane in vehicles if the Department determines that biofuels and electricity are not reasonably available. Every other year, the Washington Departments of Ecology and Commerce must report to the governor and legislature on the total GHG emissions in the state for the previous two years. 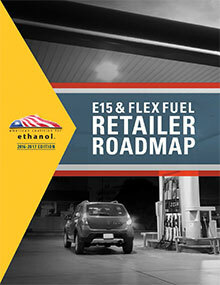 To reach these goals, the state will ensure that vehicles sold in the state meet stringent emissions standards; work with farmers, entrepreneurs, fuel distributors, and retailers to ensure that biofuel feedstocks are grown in Washington; ensure that refiners, blenders, and distributors of biofuels create jobs in the state; and strive to make it possible for the public to purchase fuel blends that reduce dependence on imported oil. For more information, see the Washington Department of Ecology's State Agency Climate Leadershipwebsite.